Hello old friend. The Kinvara and I go all the way back to the start. When the Kinvara came out, it was original. Saucony made a shoe that was light like a race day flat but with enough cushion for long distance running. Since then every running shoe has tried to create a ‘Kinvara” like trainer in their line up. As Saucony tweaked the Kinvara, it started to become, well, not so special. It gained weight, added unnecessary complications, cough, Pro Lock, cough. And the Kinvara began to feel like a regular daily trainer. Finally, Saucony started returning to the DNA that made the Kinvara a stellar trainer in the Kinvara 9. There was still room to push the design both into the future and harken back to the original magic in the Kinvara 10. Saucony has made the Kinvara 10 possibly the best Kinvara yet, even better it is one of the best shoes from any brand out there. Thomas: So what makes the Kinvara 10 so fantastic? Who doesn’t like an upper that works so well it does what a good upper should do; It becomes unremarkable. The Kinvara 10 upper doesn’t have any hotspots, rubbing, or pressure points, it is soft and flexible while retaining structure. Best of all, the upper keeps your foot locked in over the midsole. With minimal overlays, the Kinvara 10 uses standard lacing, a mediumly padded attached tongue with an elastic stretch material that locks down the arch, a heel counter that uses soft pillowing on both sides of the Achilles and a moderately padded ankle collar. The upper disappears on the run in a good way. On to the midsole… The Kinvara 10 incorporates three cushioning systems to provide it’s “just right” cushioning. The first layer is your standard foam removable insole. Under the foam insole is a layer of the Everun® blown TPU cushioning. 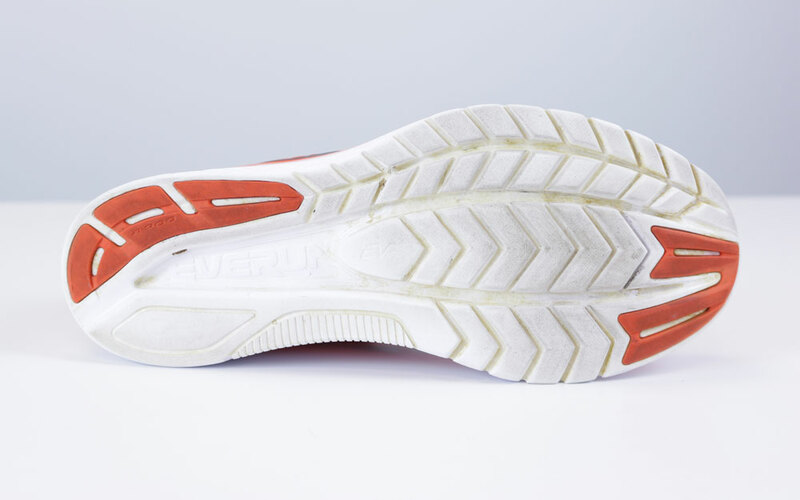 The Everun is what gives your foot a nice soft landing with excellent energy return. The shoe would be too heavy if the constructed the entire midsole out of the Everun material, see our review of the Saucony Freedom ISO for more on that issue. In this case, the amount of Everun works well. The majority of the midsole is made up of Saucony’s EVA+. The EVA+ is a light foam that gives a fair amount of cushioning while staying lively underfoot. Most of the outsole is exposed EVA+, after 38 miles the wear appears to be minimal. There are two pieces of high abrasion rubber placed at the toe off and the lateral side of the heel where most runners drag a little. The early model Kinvara (1 and 2) had minimal rubber on the outsole and did not seem to hold up as well as the Kinvara 10 are. Meaghan: It’s always exciting when the newest Kinvara model arrives. This typically turns into my go-to daily trainer. If you ran in the K9 you will notice a lot of similarities. The midsole contains the same EVA midsole + EVERUN topsole. It’s not super squishy, but it’s a comfortable ride. There isn’t much rubber on the outsole, even less than the K9, but I didn’t have any issues with traction or durability. The upper is a seamless engineered mesh with minimal overlays and slits throughout that keep the shoes light and breathable. The padding through the heel and collar remains the same, with some extra padding in the interior around the ankle – I didn’t have any issues with rubbing or hot spots. One of the “major” updates: the pro-lock lacing has been replaced with your standard lacing system. The weight remains the same as the previous model; my W8 came in at 6.6 oz. 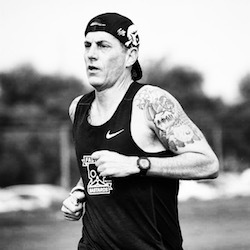 Austin: As Thomas and Meaghan have already detailed the specs of note for the Kinvara 10, I’ll bypass those and go straight into my experience. With a pair of Saucony Liberty ISO’s at 400 miles, the Kinvara arrived at the ideal time for replacement. Slip-in comfort is excellent, and as Thomas noted, the upper is remarkable in that it’s not remarkable—meaning it disappears during the run. Who doesn’t like that? 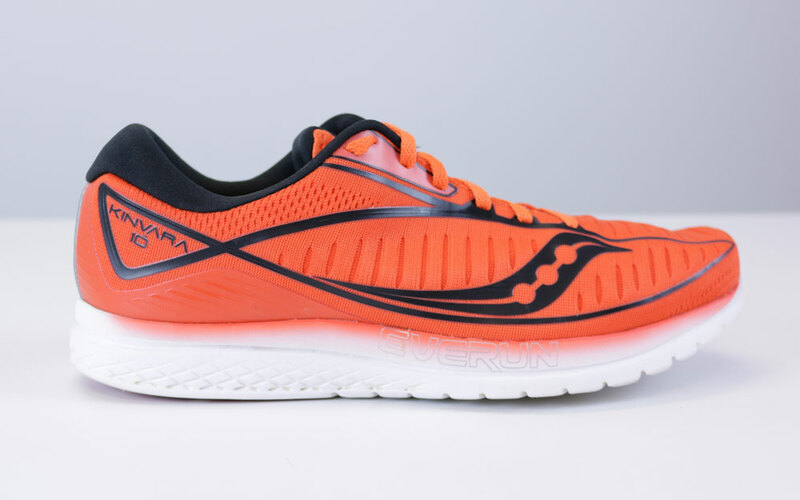 The forefoot is soft but responsive, and since the Kinvara 10 features a 4-millimeter drop, it’s safe to say that you won’t hear any remarks from me about heel cushioning as it will look the same from month to month. 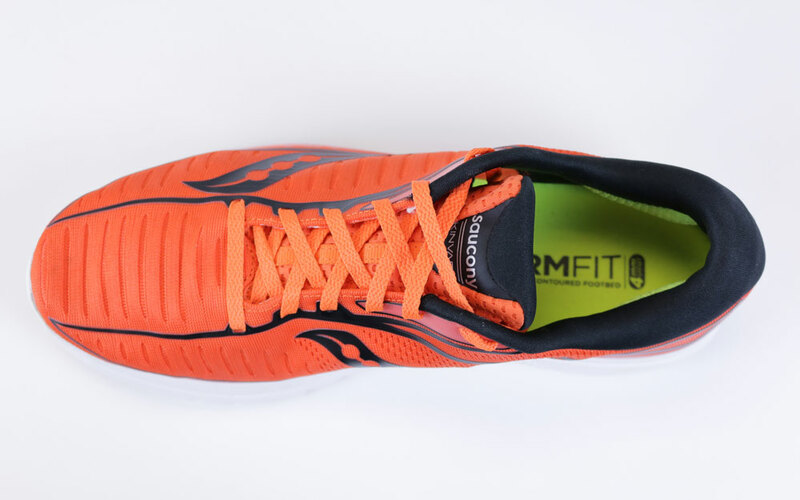 However, regarding early wear patterns, I have noticed some minor breakdown of the forefoot blown rubber, but that’s the tradeoff for lighter weight (7.8 ounces in a men’s nine according to Saucony). 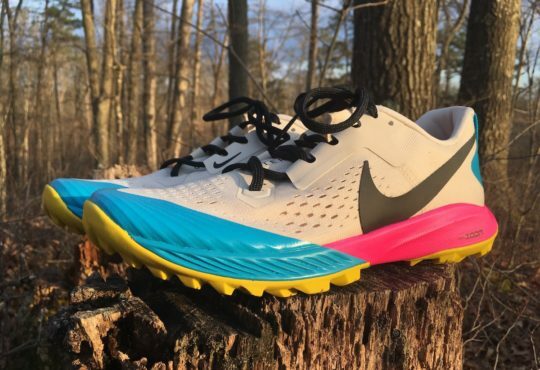 I’m still on the fence about a late March marathon, but this is undoubtedly the shoe I would pull for race day. West Coast Meghan: Right out of the box, I found them instantly comfortable. I used to wear these with inserts so, at first, the arch felt out of place. I quickly acclimated to the arch placement, however, and I never had an issue with it out on the run. Speaking of which, the first time out (13 miles with 3×2 miles at half marathon pace), they felt fantastic. 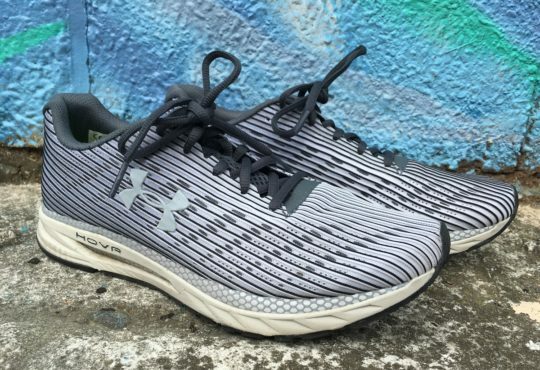 No hot spots, great lightweight cushion, and that feel of a shoe that just melds with your foot. One other highlight for me is the locked-down tongue. This seems to provide a seamless and snug feel on the top of my foot and holds it in place without any irritation. Thomas: I am reaching here, the only thing I can say negative about the Kinvara 10 is that the laces are too long. Seriously, I feel stupid even writing this down. Austin: As Thomas observed in his review of the Kinvara 10, the laces are too long. This is a minimal critique for sure, but I needed to cinch them tight to secure the midfoot fit, which resulted in a few extra tucks to keep the slack from draping off the sides of the shoes and causing a trip later. Of note is that I still continue to be leery (and weary) of “pillows” around the heel for added lockdown and supposedly added comfort. 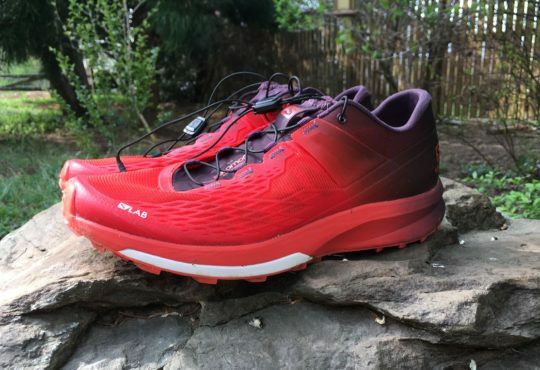 Last July, I reviewed the Salomon Sonic RA MAX, a daily trainer that also incorporated pillows around the heel. A blister kept emerging despite changes to the laces and socks. A recent 16-mile long run in the Kinvara produced a small blister on the medial side of the right heel. The shoes felt slightly loose during the run, so that may be my fault. I adjusted the laces at mile 8, and that seemed to keep the friction in check until I finished. West Coast Meghan: First off, there’s just a lot of shoe. I’m not one to hold aesthetics against a shoe, but if I were to look at the Kinvara 10 lined up with its closest competitors, I likely wouldn’t choose it. In my opinion, the amount of padding around the heel seems excessive. I’ve never had Achilles rubbing issues in any shoe I’ve worn, so I can’t speak to whether this fixes that for folks. But for me, it’s a lot of unnecessary material. It makes it feel less like the racing shoe I want it to be, and more like an everyday trainer. The real issue for me, and this isn’t specific to the Kinvara 10, is the heel drop. I know there’s been an industry push for a lower heel drop over the years, which, in theory, provides a more natural running form. But I’ve noticed that, for me, it equates to aggravated calves. As a forefoot runner, I’ve never thought this would matter much. But, in recent years, I’ve noticed my lower legs are quicker to fatigue and tighten if the heel drop is much lower than 8mm. In fact, I’ve found that sticking strictly to a lower heel drop results in posterior tibialis injuries that I’d just as soon avoid. Thomas: I enjoyed all my runs in the Kinvara 10. The shoe transitions through my stride well and feels stable in the heel. I like the trainer at slow easy paced runs and during speedwork, I even enjoyed them on long runs. This trainer can do it all. The aesthetic of the Kinvara 10 is much improved over the Kinvara 9 and the toe box doesn’t feel as sloppy. That is saying something when you factor in the fact that I was wearing a half size bigger than normal. I can’t compare the weight of my Kinvara 10 to the Kinvara 9s I have because the sample size Saucony sent me is an 11, and I usually wear a 10.5. The size 11 weighs in at 8.8 oz. / 248 grams and have a 4mm drop. Since the 10.5 Kinvara 9 weighs 8.4 oz. / 238 grams, I am going to guess that the Kinvara 10 in the same size would be lighter. While there are lighter shoes out there, these are very well balanced. The cushioning hits that elusive softness without feeling sluggish, firm enough for speedwork, and enough to tackle long runs including marathons. If the Kinvara 10 came out in 2018, it might have knocked my favorite trainer of the top spot. Instead, you will have to wait to get these on your feet until January 2019 in limited colors, more colors including the red/orange model I tested will arrive in March 2019. 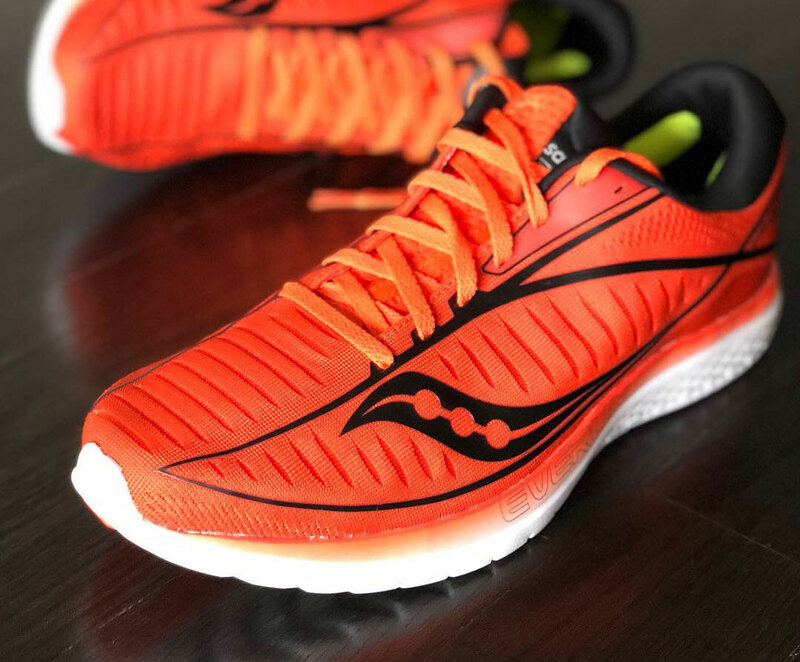 If you like light, quick turnover, comfortable trainers, it will be hard to beat the Kinvara 10 in 2019. 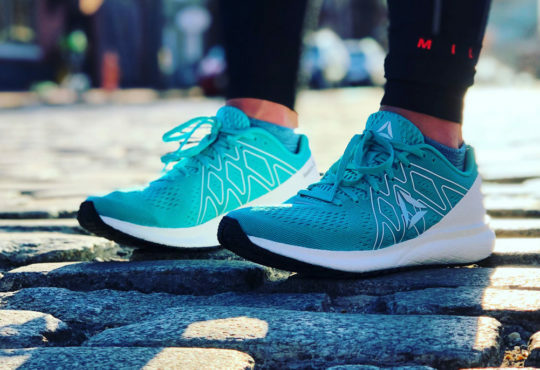 Meaghan: I like the Kinvara 10, but I don’t love it. If I was choosing between the K9 or K10, I’d go with the K9. I have wide, flat feet and the previous model was more accommodating to my flippers. I think the die-hard Kinvara fans will enjoy the latest model. The Kinvara 10 remains a lightweight, cushioned, comfortable shoe that can handle hundreds of miles and doesn’t have a hefty price tag. Austin: Despite the minor blister, I have nothing but praise to heap on the Kinvara 10. I haven’t run in this fan favorite for many years, but it will be a hard model to top this year (though Nike is up for the challenge). The simple upper, lightweight but responsive midsole, and distance versatility all priced at a cool $110 make for some superb sneaks. West Coast Meghan: I really wanted to love this shoe, but I just don’t. Although lightweight and responsive, the racing look and feel gets lost in all the cushion. It’s simply more “shoe” than I like. The heel drop would also become a definite issue for me over time. 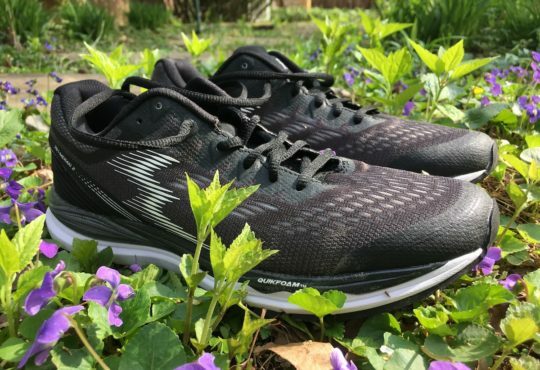 Although it could be effective as an option for tempo days, there are other shoes out there that meet this need without the extra material AND with a higher heel drop. Unfortunately, the Kinvara 10 doesn’t check off enough boxes for me to keep in the rotation. 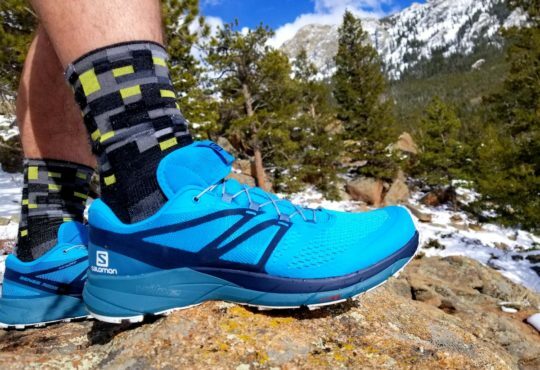 Thomas, you write, “If the Kinvara 10 came out in 2018, it might have knocked my favorite trainer of the top spot.” What is your favorite trainer of 2018? I think it might be the Epic React, but I just want to know for sure. If you mentioned the shoe and I didn’t see it, I’m sorry. I admit I skimmed the article. Epic React and I would have to add Vomero 14 as a late entry. How would you compare the kinvara 10 to the Asics Gel-Ah I’ll stop. I just wanted to test out the IG swipe up function 😅 it works! I’m happy for you guys! this looks like an improvement compared to the kinvara 9, but i’m very disappointed that they removed the pro-lock lacing. it felt just right in the 9 because it provided amazing lockdown and support but was thin enough to be unnoticeable when wearing the shoe. i’ll just have to try the 10 and see if it feels the same. i also hope they reinforced the lace eyelets more in the 10 because one of the second-to-top row eyelets in my 9s ripped when i was tightening the laces. i also had a problem with the laces being too long and flimsy in my pair of 9s, i had to tuck them into the ankle collar before i removed a few inches off each lace to make them shorter. looks like they kept the long laces in the 10, but i can just do the same thing. i still have a few months of use in my kinvara 9 but i’ll definitely check these out when i need a new pair of running shoes.